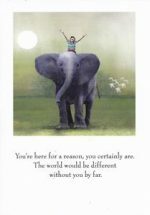 Elephant – You’re here for a reason, you certainly are. The world would be different without you by far Greeted: I’m so glad you’re you. 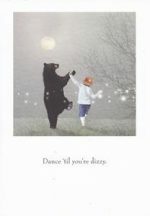 Dance – Dance ’til you’re dizzy Greeted: And celebrate you ! Happy Birthday. 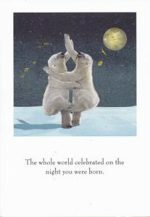 Night You were Born – The whole world celebrated on the night you were born Greeted: Because there had never been anyone like you .. ever in the world. Happy Birthday ! 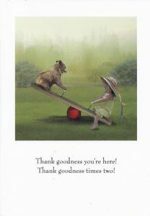 Thank Goodness – Thank goodness you’re here ! Thank goodness times two ! Greeted: I just can’t imagine a world without you. Happy Birthday ! 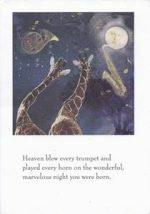 One and Only You – Heaven blew every trumpet and played every horn on the wonderful day that you were born Greeted: Happy Birthday to the one and only ever you. 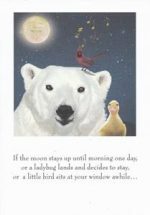 Smile – If the moon stays up until morning one day, or a ladybug lands and decides to stay, or a little bird sits on your window awhile Greeted: It’s because they’re all hoping to see you smile. Feel better soon. 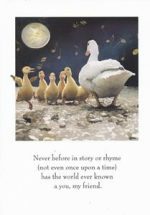 You Are My Friend – Never before in story or rhyme ( not even once upon a time ) has a world ever known a You my friend Greeted: And it never will. Not ever again. Happy Birthday ! 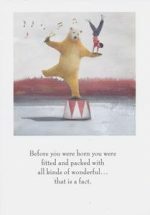 All Kinds of Wonderful – Before you were born your were fitted and packed with all kinds of wonderful .. that’s a fact Greeted: Happy Birthday ! 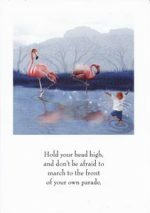 Flamingos – Hold your head high and don’t be afraid to march to the front of your own parade Greeted: You did it ! Congratulations ! 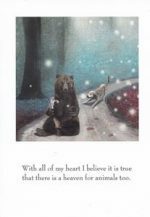 Heaven for Animals – With all my heart I believe it is true that there is heaven for animals too Greeted: I am sorry for your loss. 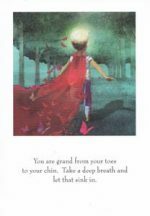 Cape – You are grand from your toes to your chin. Take a deep breath and let it sink in Greeted: Happy Birthday ! 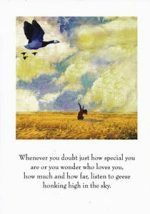 Geese in the Sky – Whenever you doubt how special you are or you wonder who loves you, how much and how far, listen to geese honking high in the sky Greeted: They’re singing a song to remember you by. You are loved. Happy Birthday !